However, my ratio and fermentation schedule ended up being quite different form both of them, but the thing I learned from their posts held true: spelt has quite a bit of gluten, but not as much as wheat, and more delicate, which means it's the best to handle it gently and try hard not to over rise/proof. 1. Mix everything autolyse for 20 to 60min, mix by hand until even. 2. Bulk rise at room temp (~75F) for about 2.5hrs. S&F at 30, 60, 90, 120min. 4. Shape, put in basketes smooth side down, put in fridge over night. 5. Next morning take the dough out to finish proofing, about 45min for me. Score. 6. Bake in cast iron pot at 460F with lid on for 20min, lower to 430F, take away lid, bake for another 25min. The dough is fairly wet & loose, so I chose to bake in cast iron pot to keep the height better. I like the addition of Agave in the formula, which complements with the spelt flavor well. Honey or other sweeteners would do as well. 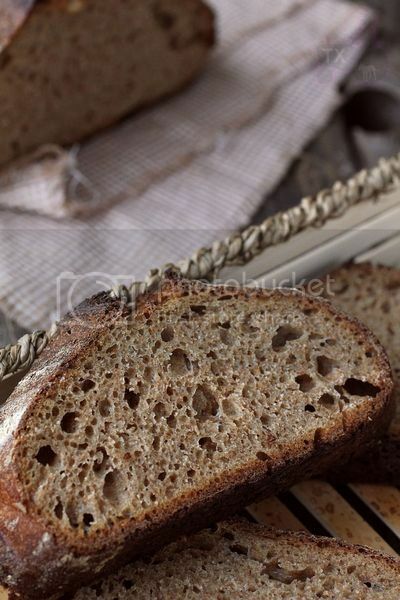 Crumb is quite open, and I really like the slightly "bitter"/earthy taste of spelt, no wonder it's used so often by other bakers. 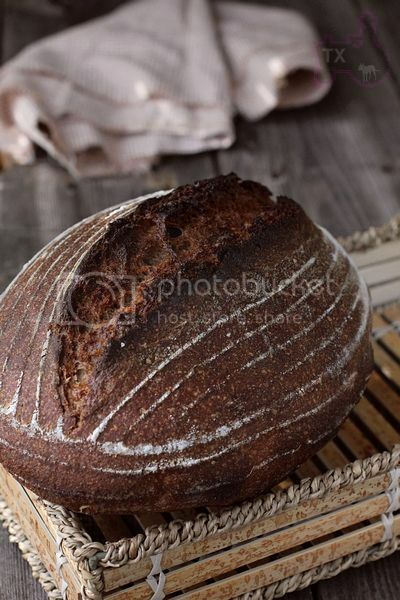 I haven't made a 100% spelt sourdough, yet (only Spelt Walnut Bread with a biga.) I'm amazed at the open crumb. Thanks hanseata! The crumb is on par with other 100% ww hearth loaves I have made, so yeah, I am pretty happy with it. of 100% spekt SD. What an interesting idea. 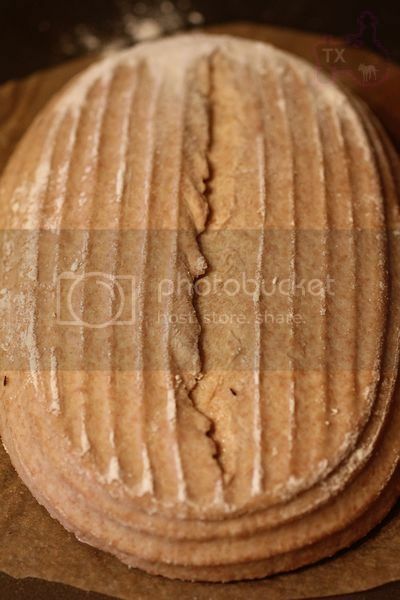 The crumb is way open for this kind of bread - but yours always is. Did you bake this in a hot or cold DO? Very nice presentation txfarmer as usual. I always bake in a hot DO. I always bake in a hot DO. Tried cold DO and I think the rise and crumb suffered noticably. It tastes sort of like ww, but with a spelt flavor, I like it! Wow! You certainly went all-in with the Spelt flour. I have come love this flour and have added it to many of my bakes but never 100% yet...I shall have to add your formula to my never ending list! 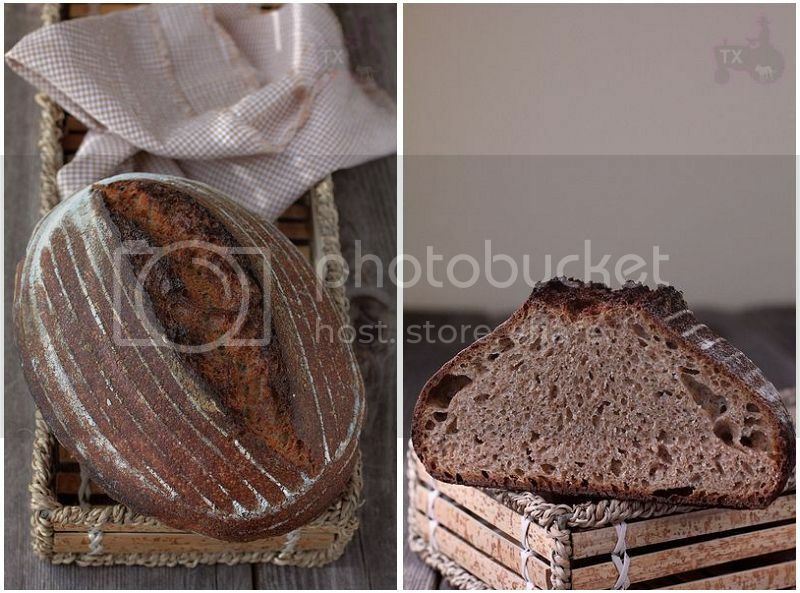 Beautiful looking loaves and per the other comments, your crumb and crust looks excellent. 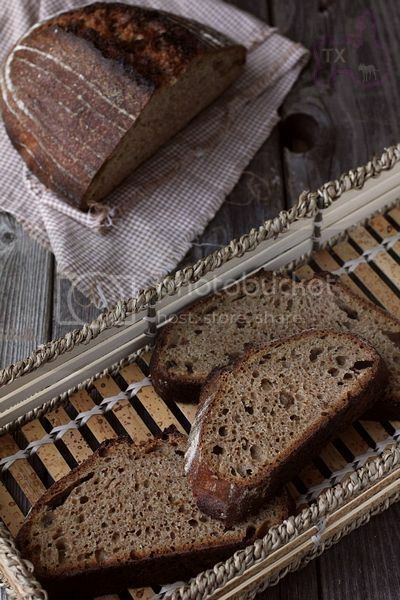 I find the spelt adds a nice nutty flavor to the bread but not too overpowering. I wonder how adding some nice sharp cheddar cubes would taste...my motto...adding cheese can only improve a bread or sandwich! Your a wonder txfarmer ... amazing lift!!! It's wholegrain spelt flour? Beautiful crumb if it is ... I have not been overly favourable of the spelt loaves I have baked. I think the dryness bothers me ... how was your breads crumb? Hi txfarmer, thanks for the great recipe, I tried this yesterday and this is how mine turned out. I am very happy with the way the loaf has turn out, so thanks very much. 1) When you describe the Autolyse, you say to mix all the ingredients, is this including the started (and salt) and then leave to rest or without the salt and starter? 2) When you do a Stretch and Fold, do you do this once each time, i.e one stretch and fold like letter or many time, if many, can you suggest how many is enough? 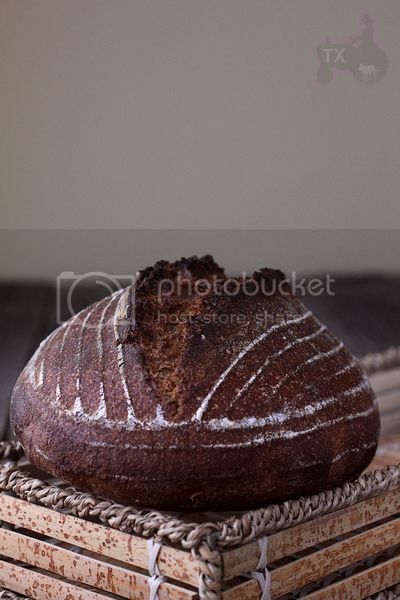 Is there anything one should know about working with spelt compared with regular flour?